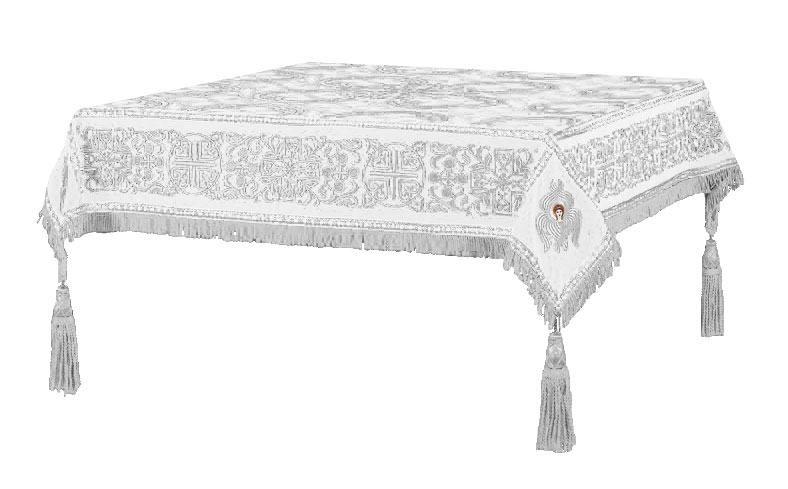 Istok Church Supplies welcomes you to browse our collection of white-silver Holy Table covers at best prices. 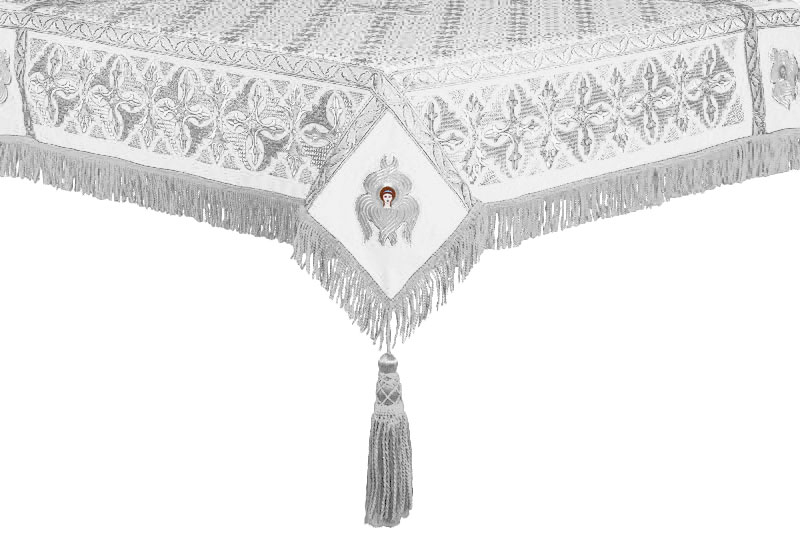 Our value oriented, high quality Holy Table covers are made from luxurious ecclesiastical fabrics and incorporate high quality workmanship – two qualities to ensure they deliver many years of service. We maintain the highest production standards for all Orthodox Church coverings and our white-silver Holy Table covers are no different. 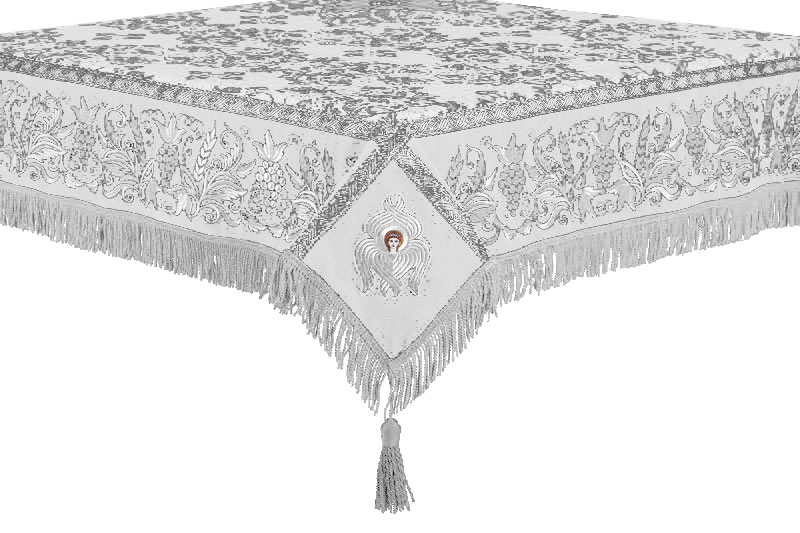 We collaborate with the best ecclesiastic fabric suppliers to bring to you these fine Holy Table covers. 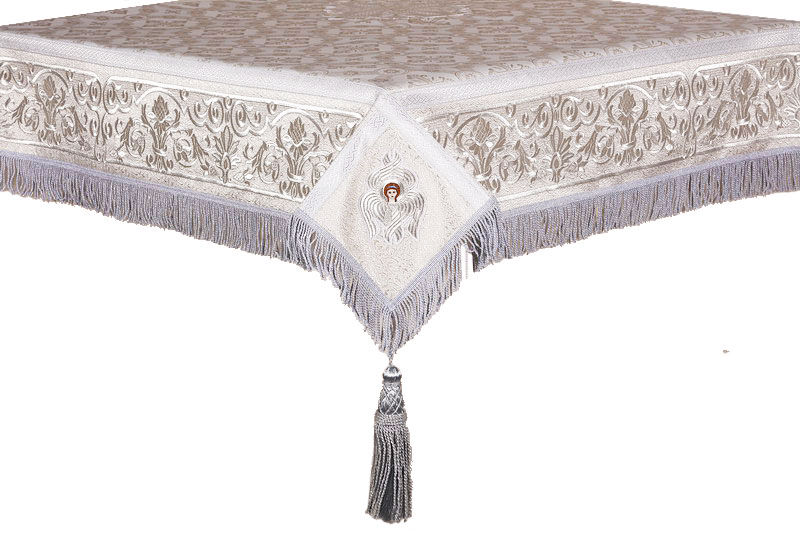 Whether you choose a Holy Table cover made from rayon brocade, metallic brocade, silk or embroidered fabric, you are sure to be impressed by the beautiful patterns they feature. 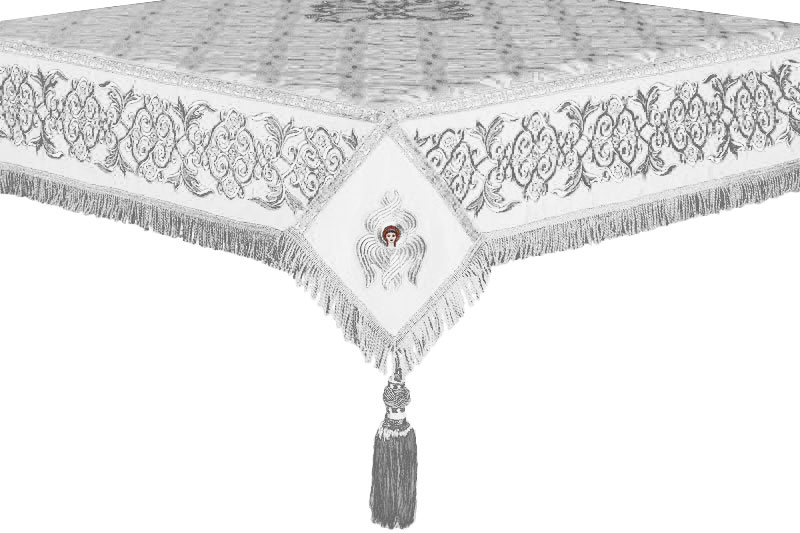 Our white-silver Holy Table covers are not flashy or dazzling – rather they have an elegance about them and set the right tone for church services in honor of the Lord and Bodiless Powers. Their beauty lies in their exquisite detailing of Orthodox Christian themes and traditional liturgical art patterns. 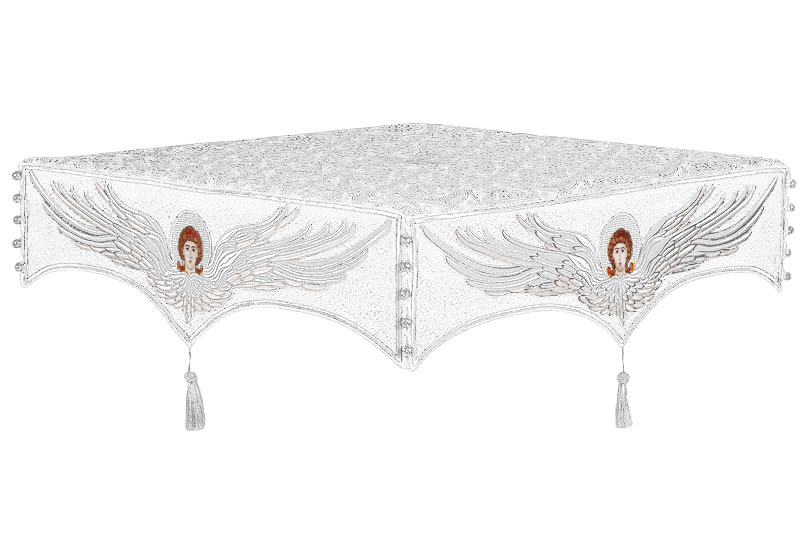 For Holy Table covers made from metallic brocade, rayon brocade and silk, we offer two decoration options – standard (free of cost) or premium (additional charges apply). 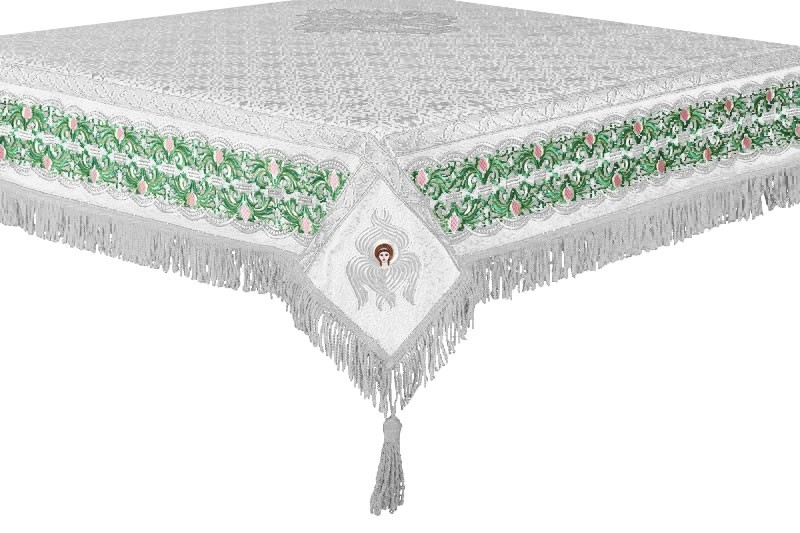 Embroidered Holy Table covers come with high quality decorations at no extra cost. Distance is never an obstruction when you shop at Istok Church Supplies online store. We serve customers all over the world including in North America, Europe and Australia. Customers will notice that some of the products in this collection are priced up to 25% lower than what they would cost in the market - we are happy to pass along price savings to make church coverings more affordable to Orthodox Christian communities worldwide. If you like any product, add it to your wish list or shopping cart – order at the earliest in case you want it in time for a special service!